YTL drops out of Royal JV. The Energy Commission is to issue a statement with following Francis Yeoh´s decision to drop out from the race. Will his main partner the Sultan of Johor do the same ¨to dispel any misgivings over the government´s commitment to transparency and good governance¨. Is someone at the EC resigning? Will the Commission call for a re-tender? The answer to all three questions should be YES. 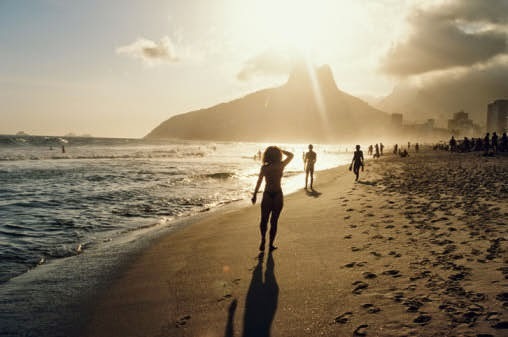 In Rio de Janeiro, where I have been since the weekend to catch some World Cup football, the poor don´t live in apartments by Copacabana, Leblon or Botafogo; they have squalors for that tucked far enough from the bronze tanned, thonged bodies splayed on the those sunny beaches of Rio. And the poor here, sadly but not unexpectedly, are the Cariocas or the native inhibitants of Rio (or, if you like, heir Bumiputeras). Similarly, the Bumis in KL don.´t reside in Francis Yeoh´s Bukit Bintang, amigos, they tuck themselves away in Kampung Baru and the squalors in the city´s periphery. The Cariocas did not remind me of billionaire Francis Yeoh´s faux pas on crony capitalism; the Malaysians I had met on the way here did. I don´t think the son of Masterbuilders taikor Yeoh Tiong Lay realizes how deep he´s cut: even those who did not have an opinion about him were now critical towards him and whatever good he might have done. It will take a long time before he can shake off people´s feeling that he was deliberately being provocative, that it was really just another attempt to test the Malaysian status quo and the Malay-Bumi resolve, no different from what some of those holier-than-thou politicians have been doing. Land issues again, and so soon after the controversy over land sale in Johor to foreigners! Here in Brazil, where their Bumiputeras make up less than 1 per cent of the population, about 13 per cent of land is reserved for them as Teras Indigenas. And even here the demarcation is being provoked and challenged! The land grab in Selangor has nothing to do with Francis Yeoh, of course, but it reminds me of the on-going attempts to test the status quo that has defined the relationship between the Bumis and the non-Bumis. The latest piece by The Unspinners on the angry protests by teachers has all to do with Francis and the billion-ringgit online education project that was given to him by the government in what seemed to be a competitive bidding and therefore should have nothing to do with crony capitalism. The bumis there are the real bumis when the real bumis here are the Orang Asli and not the Malays ! The Malays can only claim to be the sons of the soil here because of the political power they have, period. Siapa sponsor pi Brazil? Crony? You should pay a visit to YTL's Sentul West development off Jalan Ipoh, Kuala Lumpur. Sure it looks so lovely with ample green open space and a "temple" for elite arty farty, haute couture theatre goers. However, when I recall that the area once was home to a community of KTM railway workers and rail workshops, it's kind angers me to see that msny of the lower income residents of teh area don't have access to such luxury, and Kg Chubadak is nearby, and one of my former colleagues, a technician, lives there or used to live there. Mak ai Charleskiwi cepatnya kau respond.. You must be infatuated with rocky'bru blog. You must have been smitten bro. Constantly checking out updates here..
Ada kat Brazil rupanya si Rocky ni. Patut la lama tak update blog dia. I miss the old Rocky who used to updating his blog almost daily. "According to the A-G, Malay reserve land in Ampar Tenang, Sepang and Sungai Lang, Sabak Bernam were occupied and worked on by non-Malays. They opened food stalls, car workshops and constructed buildings on the Malay reserve land ..."
This part of AG report conspicuously missing from news portals headlines. Wonder why. This next to none coverage is baffling. Are they condoning the act or this piece of report shouldn't see the light of the day and the info on it should be suppressed as much as possible because it affecting their interest. Where are the people who used to to shout corruption, leakages, fraud, cronyism? Why all of a sudden they're retreating to their shells? Why the elegant silent? Oh, wait a minute, when it comes to land grabbing involving Malay reserved lands, that is legal and lawful according to them and nobody bother to blow their tops on it including the Malay leaders in Pakatan. Lepas ni orang Melayu di Selangor semua kena duduk dalam hutan pakai cawat. Just becouse you are 'pendatang' don't assume that everybody come in on the same tongkang with you. Yes , some Javanese,Bugis do come from Indonesia ,but unlike your type of pendatang they quickly adept and assimilate themselves to the local Malay culture that one's cannot tell the difference . Your ignorance and denying the fact won't change a thing ,unless you are willing to change and become a true Malaysian. Charleskwi of Kiwi land, you can go and fly kite and vamoose from this blog. You are spinning the same record, day in and day out. The news on YTL exit from the Royal tie up re-SIPP project, if true, should be celebrated as this progeny of Yeoh Tiong Lai should be given a Royal spanking for being uncouth and ungrateful to his benefactor(s), Tun M and the UMNO-led Government of the day and the past 5 decades or so. One should not forget that this Francis fella is a born again Christian, similar to DAP's Teresa Kok and LGE, and was reported to have said to his buddy Jackie Chan that his ultimate aim is to vanquish the "useless" Malays, the same people whose leaders were once compassionate to Syarikat Yeoh Tiong Lai, enabling them to leapfrog to an international power and infrastructure player. This Malay proverbial "dog" that Francis is, has evidently bitten the hands of his Malay benefactors and now is continuing his crusade by financially supporting DAP, a party that is bent on destroying the political power of the Malays (supported by Parti Keruntuhan Rakyat melayu and PAS). To the politicians especially the UMNO leaders and the Royals, Beware of the sea snake that Francis is and will forever be. I should be so lucky to have a fan like you. Since you didn´t notice, let me inform you that I was not updating my blog for over two months from March to May as I was on my motorcycle expedition. Now, what was your comment on YTL Power and the negotiated tender that it won ..? Even selangor under PR, who's Khlaid Ibrahim? He an-ex UMNO and many more in PKR. Who's Muhammad Taib who have joined PAS? U choose PKR malays is the same as you choose UMNO. Look at the root cause. What the different between PR and BN? Both have 2 letters. The Chinese have never ever denied the pendatangs, unlike the intruders from Indonesia or the samsengs who try so hard to hide from the truth who they really are. But regardless of what they are able the truth cannot be forgotten or erase from history. I just want to keep reminding the intruders and the bullies, hence my visit to this blog. It is also to keep reminding the intruders they too are pendatangs. The real sons of the soil are the Orang Asli and no body else, period. No matter what the political bullies are able to twist and distort the history. How they are able to name or call this land as Malaysia. The Orang Asli are the sons of the soil. Why did your forefathers call them as the original people instead of sakai as they were originally known ? For sure it wasn't the Chinese or the Indians. For crying laugh please stop this nonsense, calling yourself the sons of the soil or the squatters of their land. Are you trying to hide the truth, with all these calls and actions ? Once again no matter what you can do the Orang Asli are always the sons of the soil, even if you are able to have them fenced up or have them genocide. Face the truth and shame the devils unless you don't want to be known as the devils ! who's money are u using to go to brazil u big hairy baboon? Yes, I sound like a broken record but is there any other way for me or anyone else to say what I have to ? The sons of the soil in this land are the Orang Asli, no matter what you have to say or argue, period. You have the political to do everything but you can't hide or run away from the truth. Also why are you so afraid of being known or called as the intruders from a great nation like Indonesia ? It has a deep heritage and culture and a nation that really practices democracy. It does not compel or force anyone to believe in any religion. It is also known not to detain anyone without trial and many other practices that Malaysia are known for. Their only woes are the many natural disasters like the tsunami, earth quakes, volcano eruptions. But nothing like the many man made disasters that take place in Malaysia. Indonesia does not need to compel anyone to convert into a muslim. customs and cultures be replicated in Malaysia. The Balinese are not compelled to be muslims and without any incentives to become one yet the country has the biggest muslim population in the world. They don't need to import muslims from other parts of the world to become the great Islamic country they are. Whereas if Malaysia is to adopt this policy how many muslims will be left in this country ? I admire you for your persistence on the issue that has made you, in your own words, sound like a broken record. The Malays have been here for a long, long time and that´s a fact. Kingdoms around the Tanah Melayu recognise the (Malay) Sultanates (yes, we Malays migh be Hindus back then and some of us still are, Christians too). Even Siam and ancient China and Majapahit etc recognised the Melayu supremacy in Melaka and its jajahan, and this is history. The Orang Asli were there too and they were subjects of the Malay Sultans too. Others, the Chinese and the Indians included, have been trading with the Melayus for centuries. Some settled down in Melaka and elsewhere. When Britain came (after the Portuguese and the Dutch colonised the Malays) they brought in labour from India and China. These labourers stayed on and become Malaysians. That~s history too. Let´s have our political differences, our religious debates, our cultural clashes if you like. But let´s stay educated and not use any more of (my) free space to spin historical facts. Dia tuduh kita pembuli. Yang dia tu duk ulang benda yang sama kat ruangan komen blog ni sejak tahun 2006 tak 'buli' namanya? That is indeed the most sensitive piece of argument I have yet to come across in this blog and I might even add without any prejudice. I sound like broken record because there is no second version on the history of the Orang Asli. Most of all it upsets many readers to read almost every so often that people like A. Ali who keeps claiming plus also some, if not all, of your readers also keep claiming they are made to be squatters in their own land. No one is doing that, especially the pendatangs I know of. For sure many readers of this blog feel resentful of these arguments, and didn't want to waste their time trying to rectify their ignorant or trying to put right the twist and distortion of the real history of this land. May be in your educated wisdom you can tell me why is it the pendatngs are to pay their taxes but the percentage of their populations are not reflected in the civil services accordingly ? The ultimate aim in writing the true version herein is to impede the twisted and distorted version that the Malays are the sons of the soil. I have never ever disputed that the pendatangs were only here long after the Malays. A fact cannot be disputed but sad to say with this advantage Malaya was still very much underdeveloped until the arrival of the pendatangs. One thing still remains the Orang Asli are the real sons of the soil, regardless of all the historical you put forth by you in your post and it won' change the truth that the Orang Asli are the sons of the soil. Surely you do not wish or want the truth to remain untold ? done to everyone else, including the recent fencing up of the Orang Asli. The Brits, even though are invaders and creators of many countries in this world but they never have the other immigrants marginalised. Please let me made it clear whatever Malaysia is, it is due to the contributions of the immigrants. One thing for sure please let me say this I have never ever advocated that the Malays or anyone else in Malaysia be marginalised. I would like to think all Malaysians are expected to contribute their taxes but shouldn't these tax payers be entitled to the many benefits provided by the country, like employment in the civil services ! Most of all, according to egregious Mahathir, 90% of the tax payers are Chinese. Why then are this numbers not reflected in the civil services ? Let me make this clear once more I am not advocating the civil services have 96% employment of the pendatangs. But only a mixer of the true reflection of the population. Finally, Rocky, just a reminder I once told you and let this be a reminder that the Chinese are and will never be a threat to Malaysia, the real threat from the recent events are now showing they are from your own kind ! I can see your point but I still think you're full of sh**t.
So, Yeoh should be "grateful" to his "benefactor"? You mean to say that there was no quid pro quo? That the " benefactor" acted out of sheer altruism and a belief in meritocracy? I'm impressed with this self-sacrifing purity of motive! acte. looks like the Japs and the Aussies are flying home from the World Cup; what do you think of the Iranians and the Koreans' chances? How easy is it to obtain halal food in the big cities, i wonder? .... and who are you supporting for Champions of World Cup 2014? What position do you play in? Dato Rocky, I think i met you at Tun M's office few days ago. Was it you, interviewing him? I was with my delegations from UAE. I am back in Malaysia now, for good. I wonder why some Chinese are angry when we asked them to pack their bags and leave the country if they have so much complaints and not happy living here. Salahke? As a Bumi, I have done that, nothings wrong and I am back when I feel time to return home. Hey people, for generations I am told that my ancestors are from Tanah Melayu. May be some were married to Indonesians or Arabs, but you cannot deny the existence of the Golden Chersonese which is the ancient name used by Greek geographer Ptolemy (c. 90 A.D. – c. 168 A.D.) in reference to the Malay Peninsula. I repeat, MALAY PENINSULA, yes! and that does not include China. Who said that real bumi is just orang Asli? Bangang! Kita boleh letakkan semua kesalahan ini kpd pemimpin melayu yang lemah, korup, bengap dan bongok. Namun sebagai orang melayu islam, kita kena berubah menjadi hebat, kuasai semua bidang dan buktikan bahawa melayu islam itu bukan bangsa yang boleh diremehkan, diperolokkan. Ayuh, buang semua spesis melayu yang buruk jiwanya, buruk agamanya, buruk sikapnya. Mari bersaing secara sihat dgn bangsa cina, india dll. Mereka pun makan , berak , tidur juga. Sama. Yang jadikan mereka hebat (rasa hebat ) skrg kerana pemimpin melayu yang jenis buruk yg perlu dicuci.